Ellon and District councillor Gillian Owen, who spearheaded the Why Stop at Ellon campaign which has been running since 2014, says since the campaign started it has been successful in putting improvements to the roads north of Ellon on the agenda, with NESTRANS discussing several options throughout last year. She said: “We have come a long way in a relatively short period of time and I welcome all effors to promote the changes needed to save lives on this road. “I will continue to campaign for complete dualling to Peterhead/Fraserburgh. “It is vital not only for safety, but for the economy of the North-east. “We should all be campaigning for as many resources as possible to do the best job. 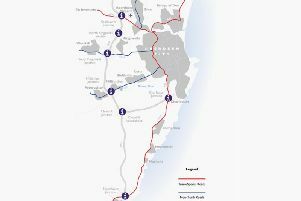 The NESTRANS report in the A90 is imminent and that will produce a clear direction for the future of the road which has seen a number of accidents in the past 12 months. Cllr Owen’s comments come following Aberdeenshire East MSP Gillian Martin’s call for the Scottish Government to install a roundabout at the Toll of Birness. 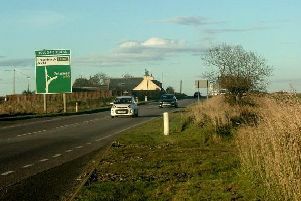 Her appeal comes following a number of crashes at the notorious A90 junction in the last few months.